The About-France.com thematic guide to France - French institutions, society, travel and tourism. Kanaks : Indiginous inhabitants of the French south pacific territory of New Caledonia (Nouvelle Calédonie). Képi : cylindrical cap worn as formal headwear by soldiers and gendarmes in France. As a form of headwear rarely found outside France or areas of French influence, the képi has become one of the iconic symbols of France. For instance almost all the famous photos and cartoons of General de Gaulle show him wearing his general's képi. See photo of General de Gaulle, top of page. Kiabi : Major chain of off-the-peg clothing retail outlets in France, founded in 1978. In mid 2008, Kiabi had about 150 outlets in France, plus outlets in Spain, Italy and the Middle East. Kiabi belongs to the Mulliez group, one of France's large family companies that also owns the Auchan hypermarket chain (q.v.). The name is a play on words: put the name of a town after it, for instance "Kiabi Paris", and it sounds just like "Qui habille Paris? ", or Who clothes Paris? Kir : popular apéritif drink, also known as a "blanc-cassis" or a "blanc-ca", made up of a dash of blackcurrant liqueur in a glass of white whine. an alternative version, called Kir Royal, is a dash of blackcurant liqueur in a glass of champagne or sparkling white wine. The drink is named in honour of Chanoine Kir (Canon Félix Kir), a catholic priest who became a Resistance heron in World War II, and later mayor of Dijon, the capital of Burgundy, and who regularly offered it to guests. Blackcurrants are a local speciality in the Dijon area. Kouchner, Bernard : born 1939. Doctor, politician. Kouchner was co-founder of the international medical charity Médecins sans Frontières (q.v.) . As a politician, he was a leading member of the Socialist Party, and held ministerial portfolios, as Minister of health, under four Socialist prime ministers. However, disappointed by the failure of the Socialist Party to modernise, he was one of the leading Socialists to accept an invitation to join the "open" conservative government of François Fillon, following the election of President Sarkozy. He remained France's foreign secretary until 2010, when he was replaced by Michèle Aliot Marie. Krazucki, Henri : (1924 - 2003) Of Polish-Jewish extraction, Krazucki was born in Warsaw, For four decades he held senior positions in the French Communist Party, and from 1982 to 1992 was Secretary General of the CGT, France's biggest trade union. Krivine, Alain : (Born 1941) Once one of the leaders of the student uprising in France in 1968, Alain Krivine has remained a militant Trotskyist all his life, and a member of the extreme left-wing political party, the Ligue Communiste Révolutionnaire, or LCR. Thanks to the system of proportional representation, he was elected and sat as an MEP in the European parliament from 1998 to 2004. Something missing? If you cannot find a word, phrase or name that you believe we ought to have included in this Dictionary of France, please contact About-France.com. Dictionary editors will consider your request, and if appropriate include a definition of the missing term at the next update. 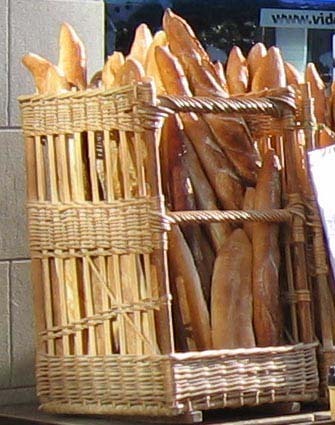 A mine of information about life and living in France, including working in France, living in France, wine, food and eating, education, shopping. 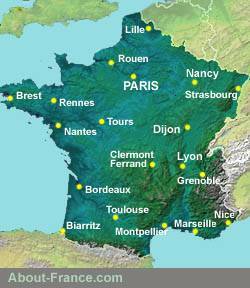 Website and text © About-France.com 2003 - 2019 except where otherwise indicated.